A miraculous true-life Second World War survival story that is being featured on the BBC's ONE SHOW (The show attracts on average a daily audience of 5 million viewers) with a ten minute dramatised documentary to be broadcast too follow. `I could see that still no one had been able to get out from the cockpit. It must have been at this moment that I thought I was going to die because I became remarkably calm'. Trapped inside a burning Lancaster bomber, 20,000 feet above Berlin, airman John Martin consigned himself to his fate and turned his thoughts to his fiancee back home. In a miraculous turn of events, however, the twenty-one year old was thrown clear of his disintegrating airplane and found himself parachuting into the heart of Nazi Germany. He was soon to be captured and began his period as a prisoner of war. 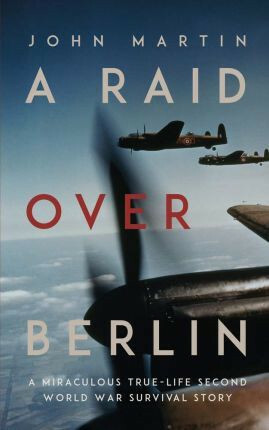 This engaging and compulsively readable true-life account of a Second World War airman, who cheated death in the sky, only to face interrogation and the prospect of being shot by the Gestapo, before having to endure months of hardship as a prisoner of war.